We all have cards that don’t necessarily turn out the way we had envisioned or a project that we designed to be feminine that could be made masculine with a few tweaks. The idea is to show a project transformed into something fresh and new. 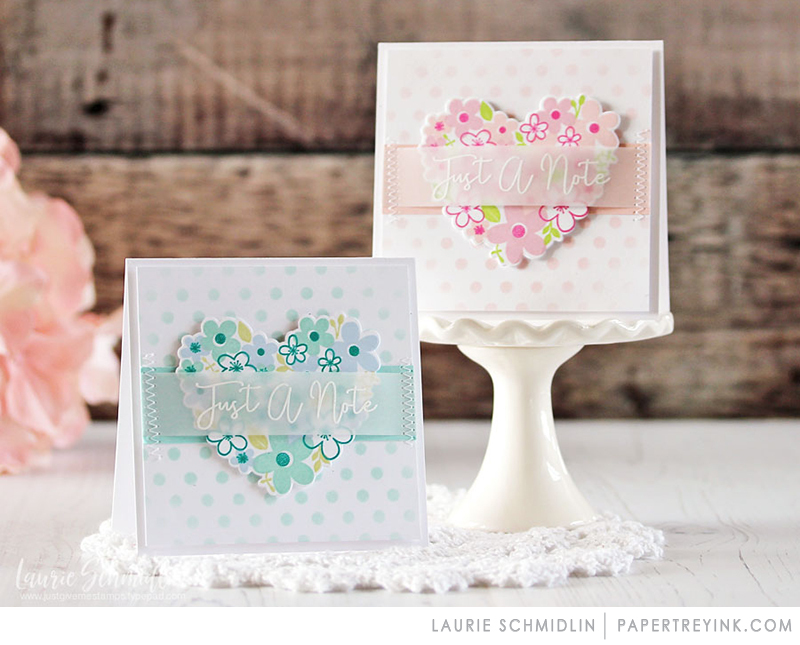 Join Laurie Schmidlin as she revisits a framed card design using Love in Bloom. I loved both of them !! Simply Beautiful. I fell in love with the first card and now, two more reasons to love this set! Just beautiful ! Beautiful cards! I like the pastel colors. 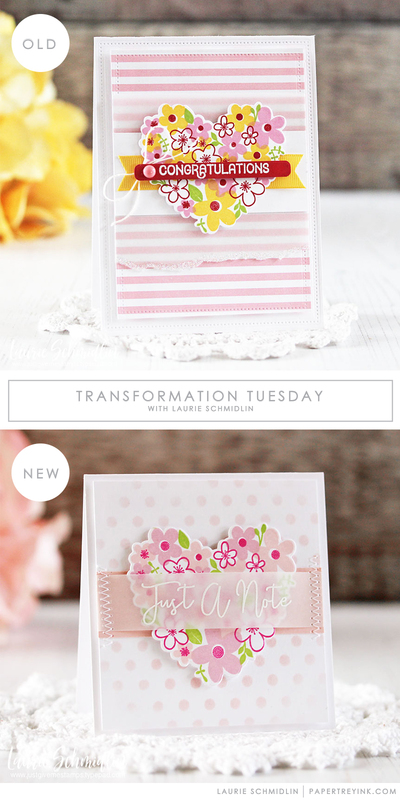 Sometimes when I see “redos” on blogs, I like the original better….but your new cards are so amazing! They are just beautiful! I agree with all your points….not that the first card wasn’t nice–it was. But you improved it so much. I wish I had the ability to look at a card and see ways to improve it as you do. Thanks for the inspiration!